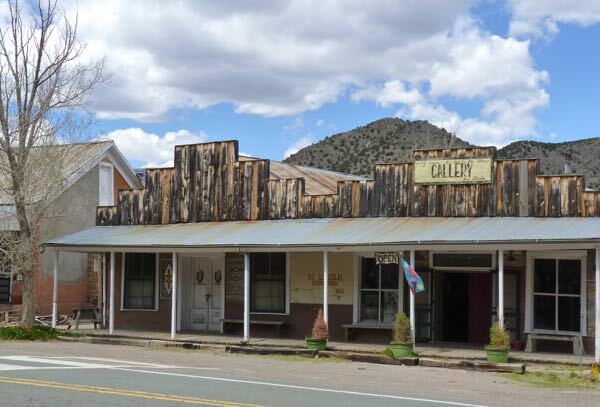 Once the county seat, old Lincoln was a hot spot of early New Mexico history; and as a result, has been made into a state monument. Mexican settlers, hostile Indians, murderous entrepreneurs and ranchers, and a famous outlaw left their mark. 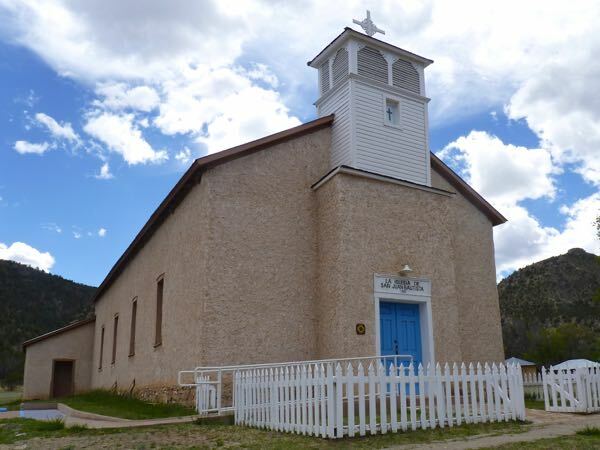 Originally settled by Mexican pioneers who named it Placitas del Rio Bonito. However, they chose a location near and dear to the natives. 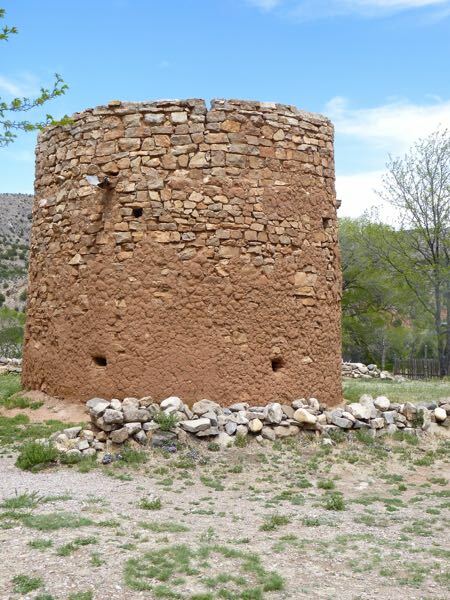 So, they had to build a stone tower fortress in which to hide during Apache raids. They must have been thrilled when the Indian Wars ended and the Mescalero Apache Reservation was established just 13 miles away. The town was the epicenter for the Lincoln County War (1876-79). 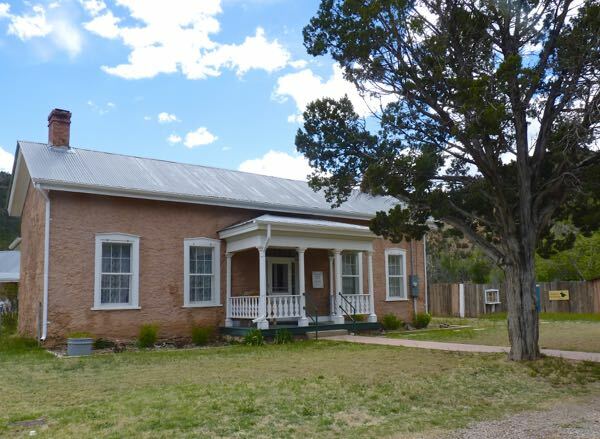 Rival merchants Murphy & Dolan and Tunstall & McSween fought to control ranching and commerce. Each formed their own militia with violent and deadly results. When the courts failed them, they turned to cattle rustling, arson, gunfights and mayhem. Three years of feuding led to a five day shootout in town. 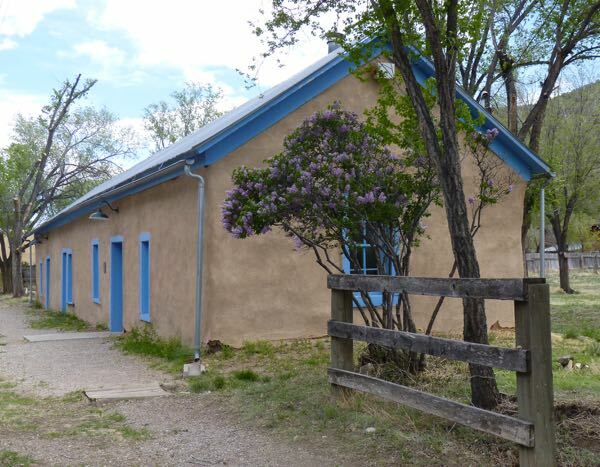 Soldiers from nearby Fort Stanton (once commanded by Kit Carson during the Indian Wars) were finally called in to end the conflict. 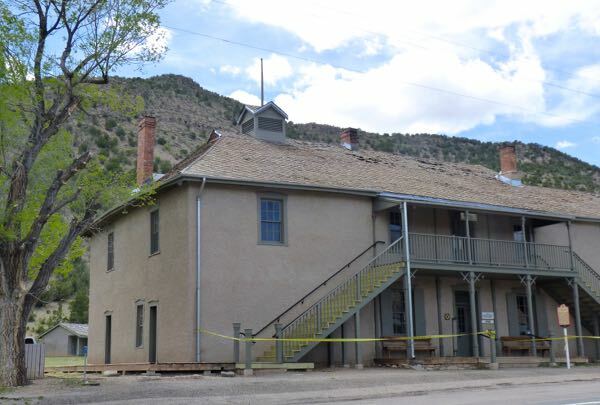 Billy the Kid was arrested by Sheriff Pat Garrett and jailed in the county courthouse there. But, he didn’t want to stay. He somehow got a gun and shot his way out killing two guards and a citizen during the escape. He was later found by a posse and gunned down by Sheriff Garrett. After so much excitement, I was ready for a free camp in the mountains. A spot with a view of the Capitan Mountains did nicely. There were only two other campers and a decent internet signal. Nice country. I really enjoy that countryside near Ruidoso, NM. I hope you get a chance to explore it and Cloudcroft. Thanks for taking us along on your travels. It’s a pretty area for sure. A bit higher and cooler than south Texas though. Always so much to photograph in Lincoln! Love it there. An interesting place was Lincoln. Thanks for commenting Judie.